Ice cold water flows through the gutters and sewers of this town, draining away the daytime heat. The city shivers. 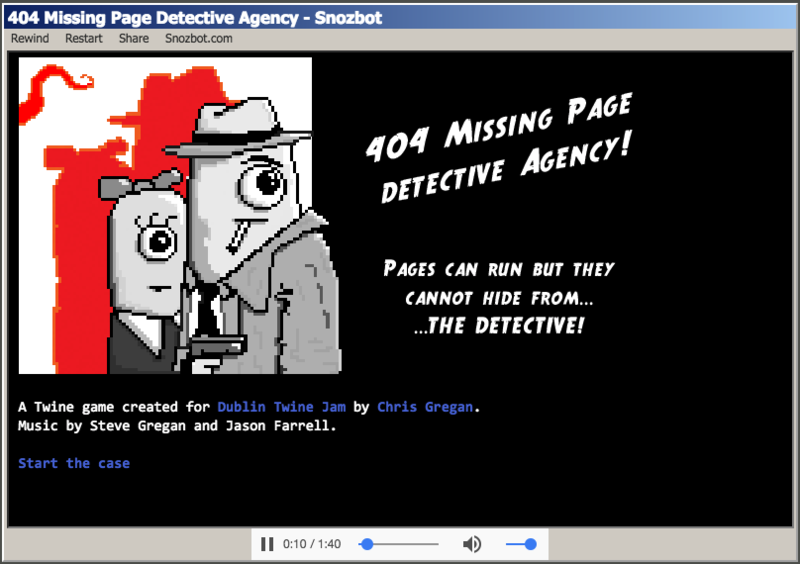 A Twine game created for Dublin Twine Jam by Chris Gregan. Music by Steve Gregan and Jason Farrell.